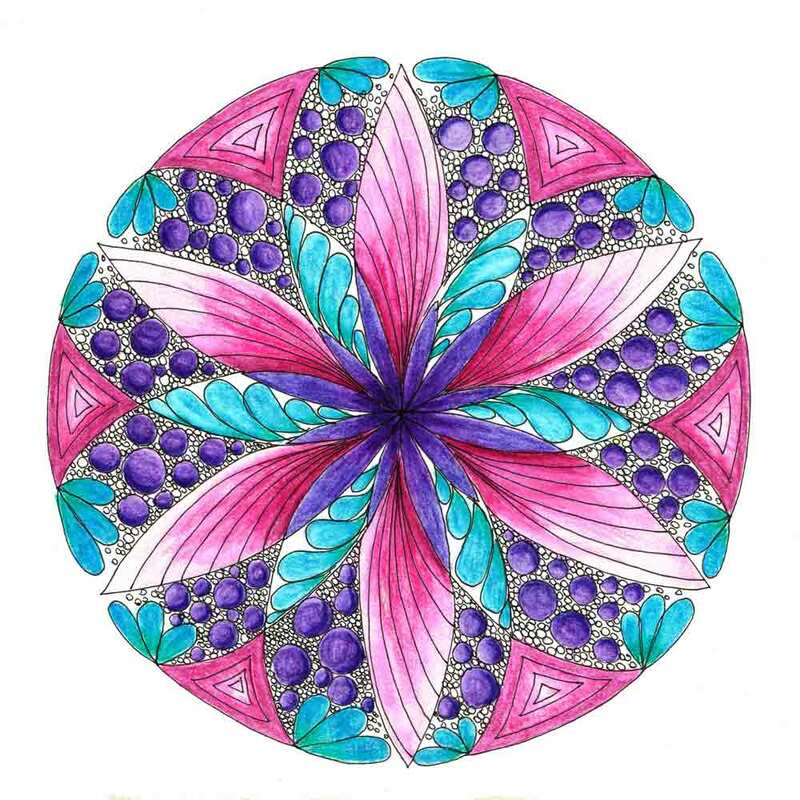 If you are feeling in need of a little calming, reflective time then drawing mandalas is just the thing. 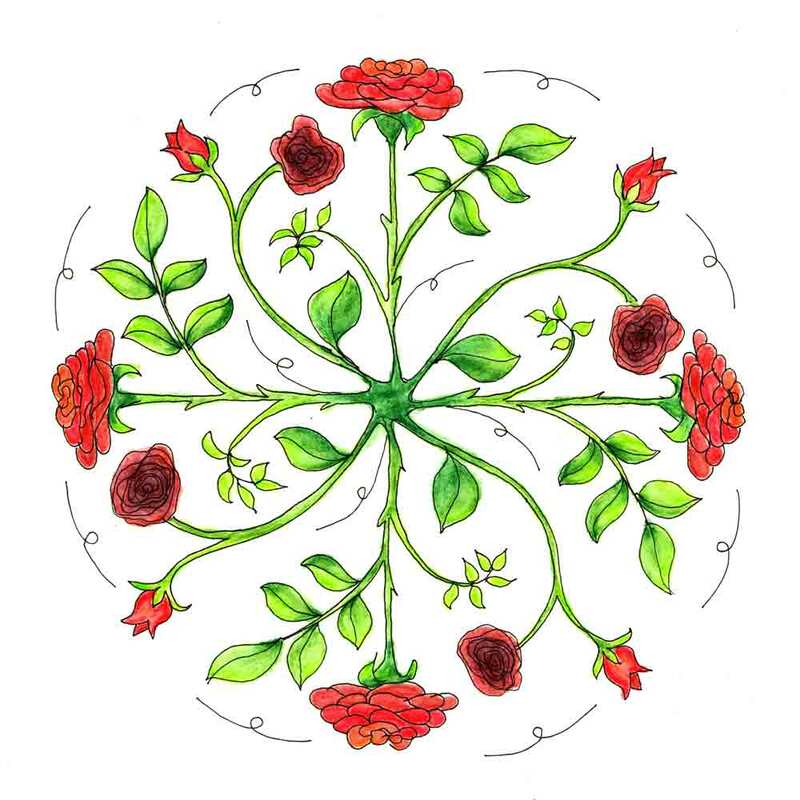 One of my new rituals is to spend a month with mandalas at the close of every year. There is so much about the mandala that feels apt at this time of the year. The circle is the perfect symbol for a time of reflection. Its gentle even curve will hold whatever you choose to put inside - a safe container. It brings me no end of delight to be able to start with a little seed of a shape in the centre of the circle and then watch it grow into something bigger and more complex. But each of these tiny things plays its role in making up the complex pattern of our lives. There is reliability in the repetition. They form the structure within which our children (as well as ourselves) find a sense of security. Certain things in an uncertain world. These things provide some stability - a backbone to support the fluid organic expansion of their little lives, the framework on which to pin all the colour and interest that life has to offer. Once a soothing trip all the way around the circle with one shape has been completed there is a sense of closure. To close up one round of shapes brings fulfilment. There is a feeling of achievement in reaching the end. However one of the joys of a circle is that every end is also a beginning. The end of one day is the beginning of another. My process for drawing mandalas is circular in so many ways. Aside from the obvious shape of their overall design and the repetition of the shapes within, there is a cyclical nature to the process itself. I begin in pencil and complete each concentric circle of shapes, usually beginning in the centre. Having repeated that process to fill the whole mandala I begin again going over the pencil lines in pen. And then a final return to each concentric circle to add the colour. As is so often the case, the process of creating art mirrors life. The first time we try something new we may be a little shaky, uncertain - the pencil version. As we repeat this action we are more confident, we probably refine our previous work - the pen stage. And now that we are more confident with this new thing that we have learned we find even more joy and execute the task with flair - the colour stage. At each stage, we have the chance to improve or amend our previous decisions. The more we persist, the more our new project begins to collaborate with us in its creation. We can choose to take feedback from what we have done so far, to work with what is working and let go of what is not. 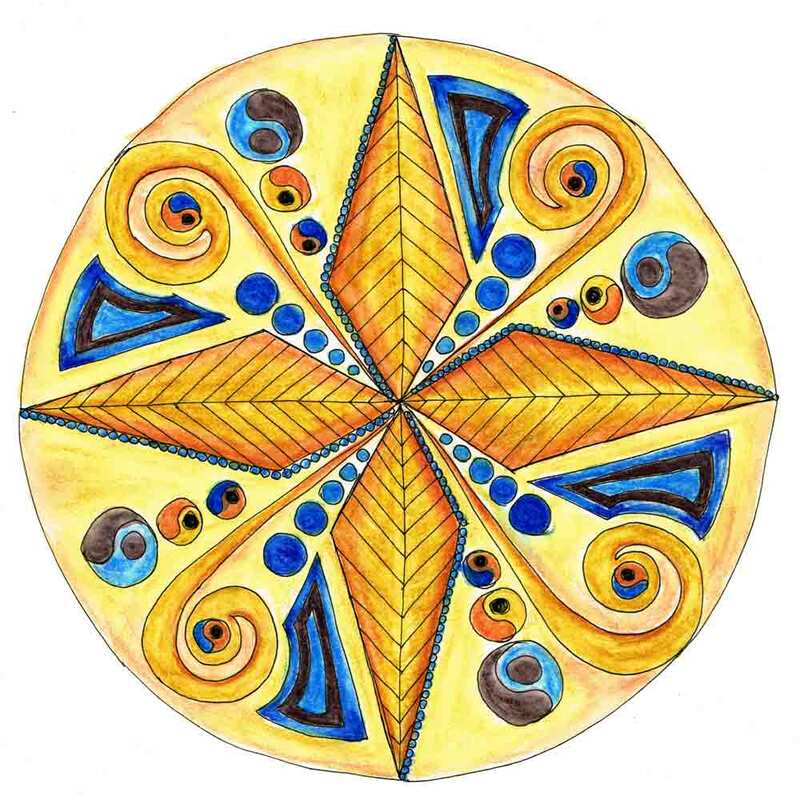 In mandalas, as in life there is comfort in the repetition, and the opportunity for growth. If we persist to completion there is the chance to experience each new thing in all its glory. Every so often we need to pause, stand back and see how our small repeated daily actions contribute to the glorious mandala of our lives. Take a moment to observe what you have achieved so far. Acknowledge your efforts and contributions. Be proud of how much you have learned and grown. And then begin another round.